The CompactFlash memory card was introduced in 1994 and helped the digital camera market grow into a multi-billion dollar industry. Despite being around for 21 years, CompactFlash is still used by Canon and Nikon for as the memory card of choice for their flagship digital cameras. CompactFlash cards might be larger than their SecureDigital counterparts, but they are without a doubt more rugged due to their extra thickness. 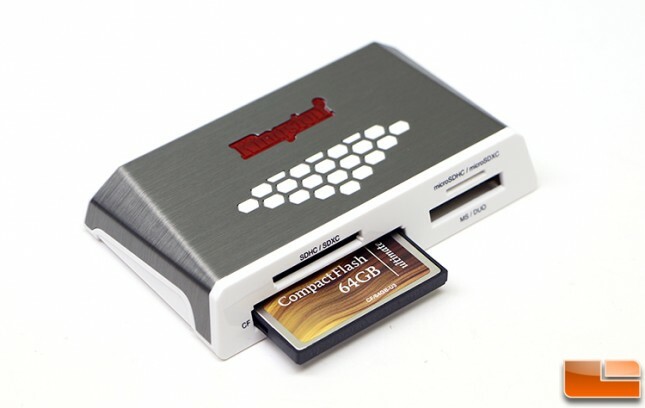 Since CompactFlash cards are still relevant it should come a s big surprise that Kingston Technology is still coming up with and releasing new CompactFlash cards as well as USB 3.0 media readers to go along with them. 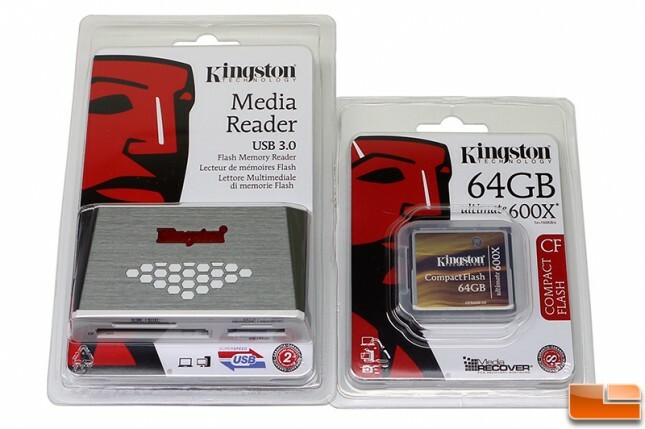 Kingston announced just last week the release of their 4th generation HS4 All-In-One Media Reader and the expansion of their CompactFlash Ultimate 600x family by adding a larger 64GB capacity card to the lineup. These two parts are all about giving photographers and videographers capture content on a high-end lifetime warrantied memory card and then quickly and painlessly back up and transfer all of that digital data through the SuperSpeed USB 3.0 interface. The Kingston 32GB and 64GB CF Ultimate 600x cards support read and write speeds of up to 90MB/s to support burst mode photography or HD video and the new media reader is more than capable of supporting those speeds. The Kingston FCR-HS4 multi-function reader supports more memory card formats than ever and that means it will work with the latest SD card speeds (UHS-I, UHS-II) and CF Type I and II (UDMA 0-7). The USB 3.0 reader measures in at 93.3mm x 52.68mm x 16mm and weighs in at 1.7 ounces (48 grams) thanks to the lightweight white plastic body and gunmetal aluminum top cover. The Kingston FCR-HS4 runs $26.18 shipped and is backed by a 2-year warranty. 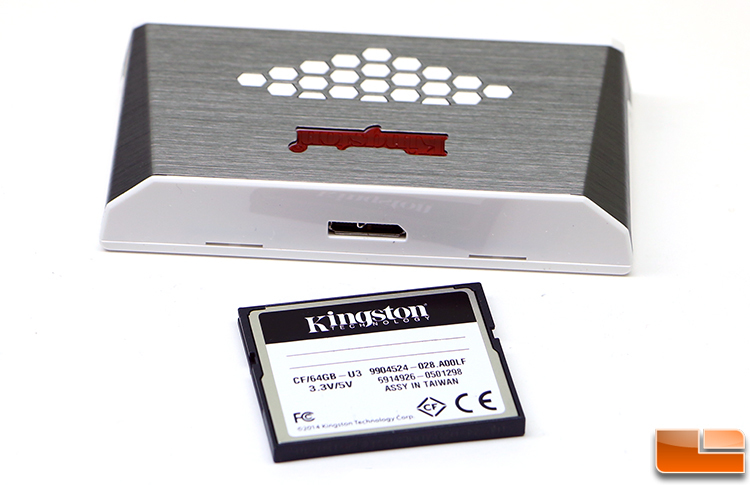 The red Kingston logo on top of the drive is backlit and blinks while a memory card on the reader is being accessed. The CompactFlash 64GB Ultimate 600x card (part number CF/64GB-U3) was designed for professionals looking for a memory card with read/write speeds of up to 90MB/s to ensure support of burst mode photography or HD video. When you purchase this lifetime warrantied card you also get MediaRECOVER 4.0 file recovery software that lets you recover deleted files and restore corrupt files on over 250 file types on both Windows and Mac systems. The Kingston CF Ultimate 600X lineup now has cards that are 16GB ($29.95), 32GB ($47.99) and 64GB ($96.72), but it looks like Kingston is phasing out the smaller 16GB cards. 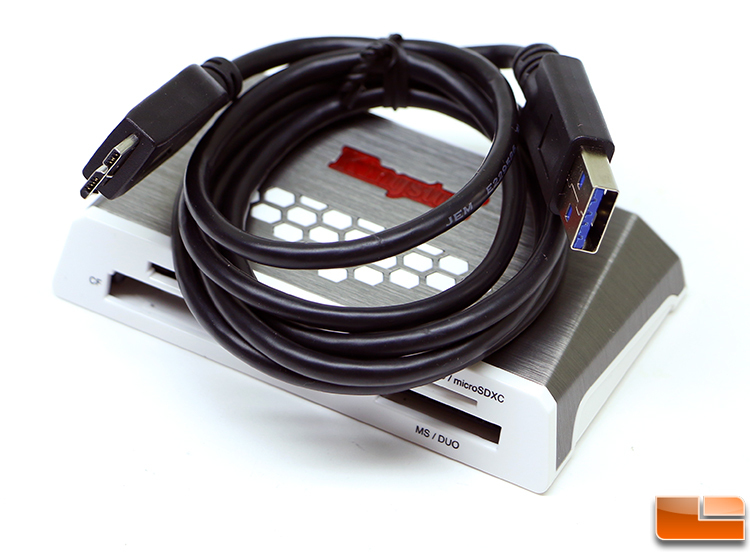 On the back of the Kingston FCR-HS4 reader you’ll find a single USB 3.0 micro-B plug. Kingston includes a 36-inch long USB 3.0 Type A to USB 3.0 micro-B cable data transfer cable. No external power is required to use this memory card reader! The Kinston CompactFlash Ultimate 600x 64 GB Flash Drive CF/64GB-U3 memory card comes formatted with the FAT32 file system and there was 58.4GB of free space on the card in this format. 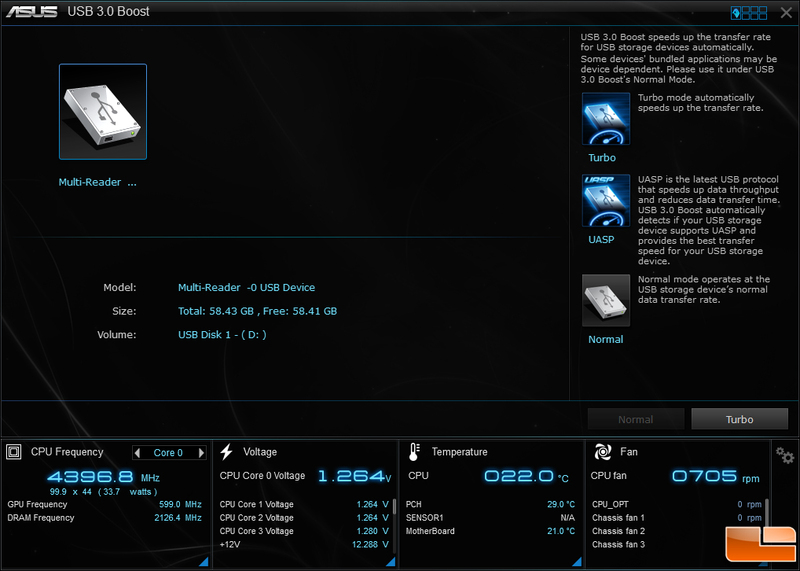 The first benchmark test we ran was ATTO and we found that the HS4 memory card reader and CF Ultimate 600X card worked well together and the card hit 117MB/s read and 102MB/s on the 8MB file test. 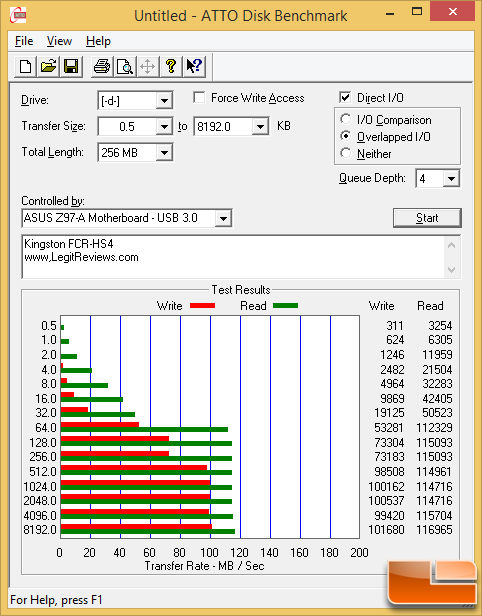 On the smaller 128KB file test we found the performance to be 115MB/s read and 73MB/s write. The 4KB file size performance was 21.5 MB/s read and 2.5 MB/s write, which would make this a horrible primary partition drive, so it’s a good this this is a memory card designed for camera use and not as the primary OS drive in a PC. 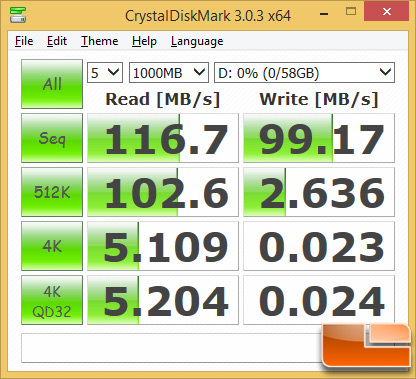 CrystalDiskMark v3.0.3 showed the sequential read/write peformance at 117 MB/s read and 99 MB/s write, so this CF memory card certainly exceeds the rated ‘up to 90 MB/s’ speed ratings placed on it by Kingston. The Kingston FCR-HS4 All-In-One Media Reader was found to be speedy compact unit that read everything we threw at it since it fully supports the latest SD card speeds (UHS-I, UHS-II) and CF Type I and II (UDMA 0-7). Since it supports the latest card formats it is a worthy successor to the three previous versions! The Kingston FCR-HS4 runs $26.18 shipped and is backed by a 2-year warranty should anything fail on the reader. Take note that Kingston Technology does upgrade the firmware on their memory card readers when needed, so if you purchase one of these and ever do run into an issue with a card be sure to check and see if an update is available! The Kingston CF Ultimate 600X 64GB card is basically just a speed bump for the CF Ultimate 600x product lineup, but a much needed one. Our tests found the sequential read/write speeds topped out at 117MB/s read and 102MB/s write, which are both well over the rated 90MB/s speeds. If you are looking for a CompactFlash card with plenty of room for capturing your images and videos it doesn’t look like you can go wrong with this one. 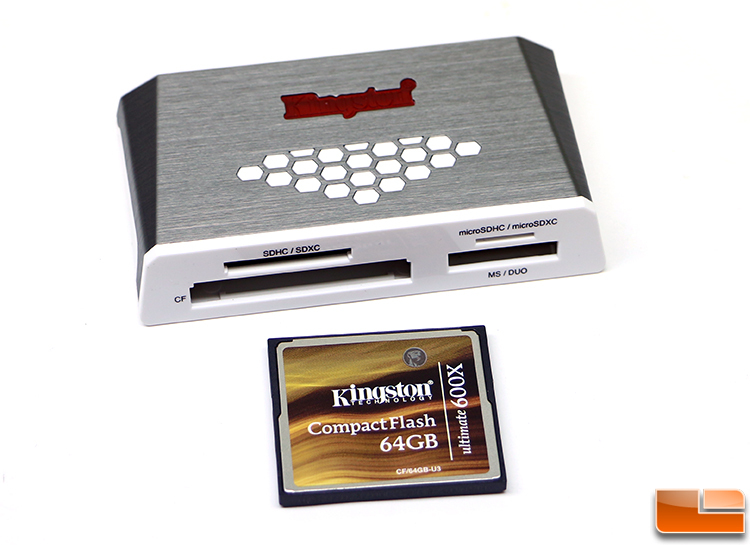 The Kingston CompactFlash Ultimate 600x 64GB card runs $96.72 shipped and is backed by a lifetime warranty. 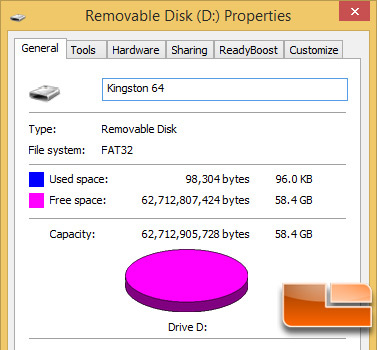 Both the Kingston FCR-HS4 and Kingston CF Ultimate 600X 64GB get the thumbs up from Legit Reviews as they work as advertised!